Having been diagnosed with cervical cancer in 2016, I changed my perspective on awareness ribbon campaigns and it got me thinking why is pink the only one that everyone recognizes and is on board with? Why is everyone so willing to do the walks, fundraise and wear pink all month long? I mean it wasn’t always this way, was it? This ribbon had to start somewhere and while I was in Iowa attending Cervivor School, I learned some of the history of the pink ribbon and breast cancer awareness. What began the global breast cancer movement with $200 and a shoebox full of women’s names who had or were going through breast cancer turned into a global community of scientists, advocates, neighbors and friends, working together to make breast cancer a distant memory. I wondered, can this be done with my cancer too? Why are there no big walks, fundraisers or even much awareness of the teal and white ribbon? I mean, I wear my ribbon and frequently I am asked what it represents. Is it because not enough women in this country die from cervical cancer? Surely that can’t be the reason. 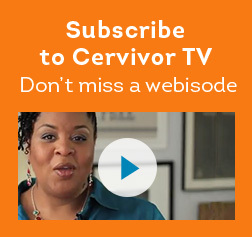 Or is it because not many women are willing to talk about cervical cancer? Sadly, I believe this is one of the main reasons. You see, cervical cancer has a stigma attached to it as most cases are caused by HPV (Human Papillomavirus), one of the most misunderstood viruses known to man. People do not realize just how common this virus is and how it accounts for many types of cancers as well. Every October I hear the frustration by many women about the lack of awareness for our cancer and I too am guilty of feeling the same. 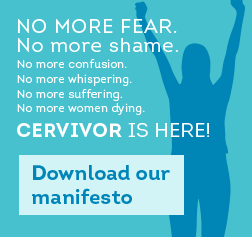 Then I realized, I never even knew what cervical cancer was until I was diagnosed. How could that be? Well, for one, no one talks about it. 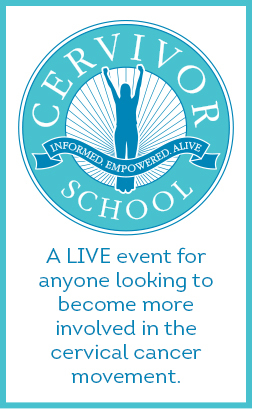 If we want more awareness then we need to be willing to talk about cervical cancer and the HPV virus. We need to be out there sharing our stories, advocating for the HPV vaccine, and reminding women to not miss their PAP/HPV tests. 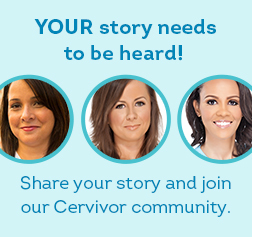 Imagine if all women who were diagnosed decided to share their story with others and kept on sharing and kept talking about cervical cancer and the HPV virus. 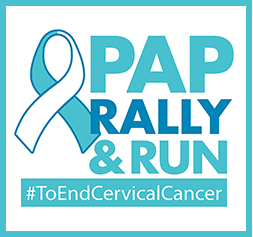 When women are willing to put themselves out there, we too could grow in numbers and we could be the “Teal and White Brigade.” We have to put feelings of shame aside and not be afraid to talk about our cervix and our cancer. We matter ladies, and our stories need to be told! 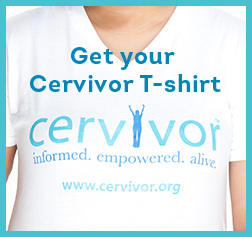 January is Cervical Cancer Awareness Month, let’s turn it Teal and White. Paulette Apostolou resides in Illinois with her loving husband and two Min Pins Roxey and Zoie. She is the owner/designer of TheDeevaShop.com and founder of Operation Teal; an awareness ribbon campaign she started in 2016 after attending Cervivor School Louisville.